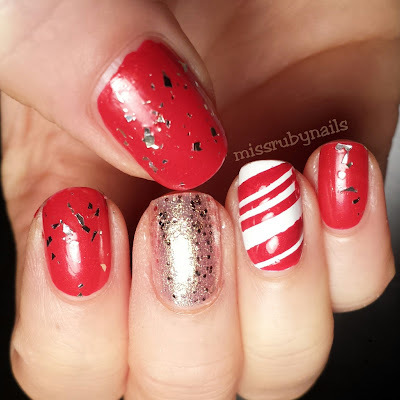 Another festive and glittery nail art with candy cane accent! The base colors are solid white and red. 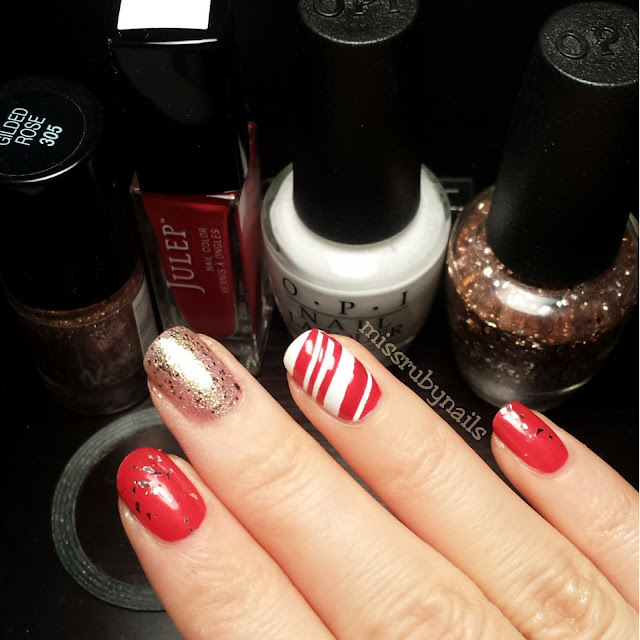 This combo is actually great for lots of occasions in the year! 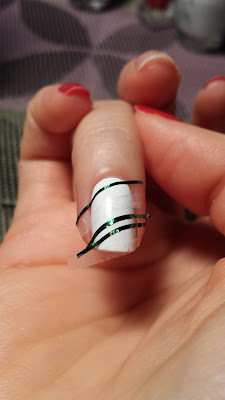 For the candy cane nail, I used nailart tape diagonally and blocking off different thickness of the nail. Click HERE to read more tips and tricks for using nailart tape plus other tips! 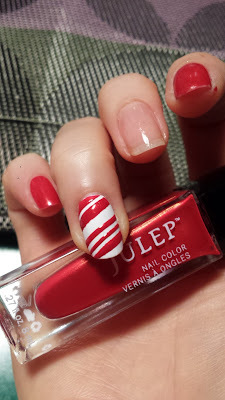 Then I used the same red polish to paint over the entire nail and removed the tape right after I painted the red. 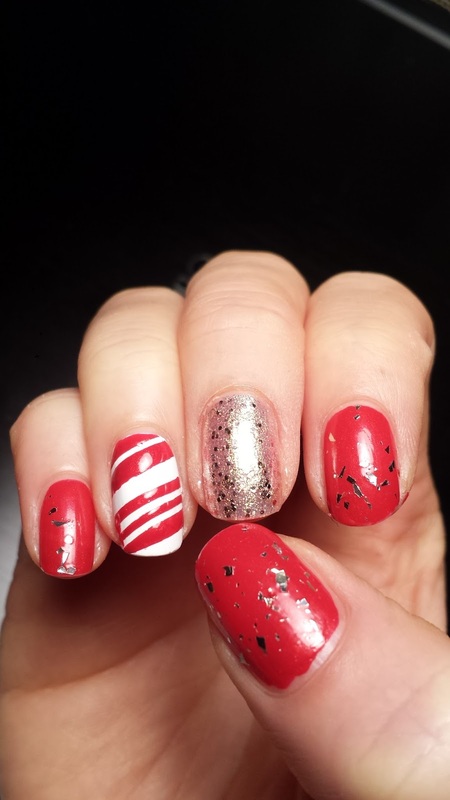 I finished the manicure off with some gold glitter and we are done! 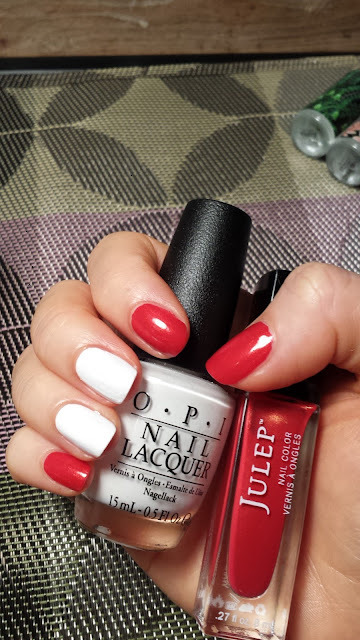 Click HERE for more polish reviews!